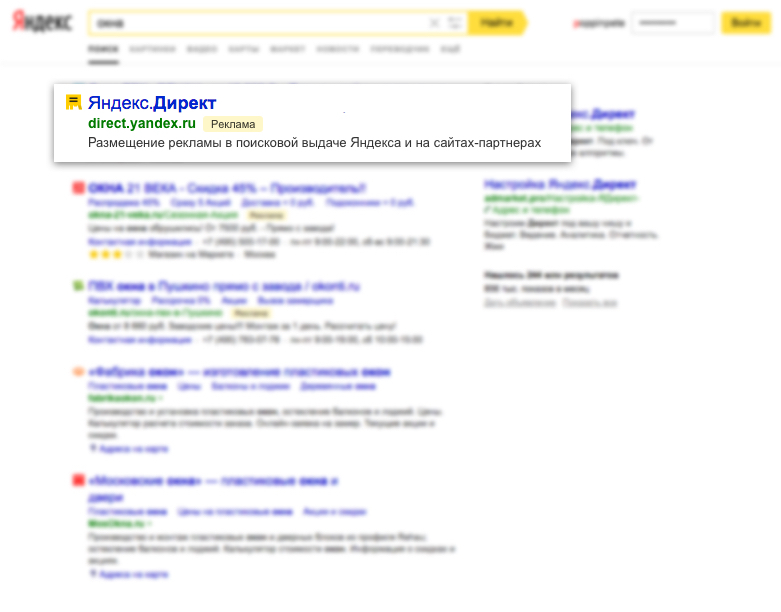 Premium means an advertising block with high CTR located above the search results (under the search string or thematic insets of Yandex services («wizard»: https://yandex.ru/support/search/search-wizards/wizards.xml)). The functionality of “Maintain network CPC below search CPC”, described in 3.16.3 and 4.4.1 of these Rules should apply to the Cost per Click, set by the Advertiser, in case the Advertiser chooses a criterion of displaying of the Ads (if such criterion is available for choice): “Manual management” in the settings of the Advertising campaign, In this case the Cost per Click is calculated automatically with application of the above mentioned functionality. The said rule does not apply to the Image Ads. 3.7.2. In addition to the conditions set in the clause 3.2 of these Rules, selection of Ads for display on the spaces specified in the Clause 2.4 of these Rules (except for the mobile version of the “Yandex.Maps” service and “Yandex.Maps” mobile app) the following criteria shall apply: together with the key words and phrases (without stop words (https://yandex.ru/support/direct/#glossary) selected by the Advertiser via Client web-interface, the key words and phrases corresponding to the respective rubrics of the first search (organic search) result of the “Yandex.Directory” service (https://sprav.yandex.ru/) (hereinafter “Rubric phrases”) shall be also taken into account. To clarify, in addition to the phrase “buy sofa” selected by the Advertiser, the selection of Ads could also consider the phrases “frameless furniture”, “cushioned furniture”, etc. Full list of rubrics of “Yandex.Directory” service is available on https://sprav.yandex.ru/rubrics. By using this functionality the Advertiser undertakes to ensure the compliance of all Rubric phrases with all the requirements of applicable law, including but not limited to Federal Law “On Advertising” dated March 3, 2006, No. 38- FZ, and the Federal Law "On Protection of Competition" dated July 26, 2006, No. 135-FZ. The application of the Rubric phrases functionality shall apply to all Advertisers by default. The Advertiser is allowed to add the respective Rubric phrases to the list of negative key words on the page of statistics of the respective advertising campaign. 3.15.3. By choosing the functionality “Maintain average network CPC below average search CPC”, the Advertiser acknowledges and agrees that automatically adjusted Cost per Click would apply to all impressions of Ads within the Advertising campaigns, for which the Advertiser has chosen the above mentioned functionality, and on the Advertising spaces listed in 2.2 and 2.7 of these Rules. The Advertiser could cancel the above mentioned functionality via client web-interface or via API. 3.18. Ads may be displayed both for key words/phrases selected by the Advertiser and for automatically specified synonyms of key words/phrases selected by the Advertiser as well as for search queries, if the Advertiser uses Autotargeting as an additional option. The Advertiser could exclude displays for particular key words/phrases/search queries from among automatically specified synonyms by way of addition of such key words/phrases to negative key words (https://yandex.ru/support/direct/features/campaign-negative-keywords.xml). 4.1. If the Rate fixed by the Advertiser, with consideration of the rate set by the Advertiser according to cl. 3.17 of the Rules, exceeds the amount of the Advertising Campaign cash balance/ the General account (the amount of cash balance for all Advertiser’s Advertising Campaigns) or the cost of service limit fixed by the Advertiser, the Rate shall be deemed to be equal to the amount of the Advertising campaign cash balance / the General account or the cost of service limit fixed by the Advertiser (or remaining balance thereof), respectively. The category of the content shall be determined by the Advertiser independently during the ad production by selecting the appropriate category through a Client web-interface or, if it is an Image Ad, by indicating the category in such an advertisement, or via Ad Builder. If the Advertiser fails to select a category for ads with relevant content, the ad shall be automatically assigned to the 18 + category, except for Image Ads. As for Image Ads, the Advertiser shall independently add the content category (including by creating ads using Ad Builder) and Search banner category. The assignment to the relevant category shall be performed on the basis of automatic identification of theme. If the Advertiser considers the ad not to be the subject to age categorization, the Advertiser is entitled to change the category at any time through a Client web-interface or via the customer support service using the feedback form at https://yandex.kz/support/direct/troubleshooting/. The Advertiser is obliged to inform the customer support service using the feedback form at https://yandex.kz/support/direct/troubleshooting/ of the need of age restriction, if the ad was not automatically assigned to age category.